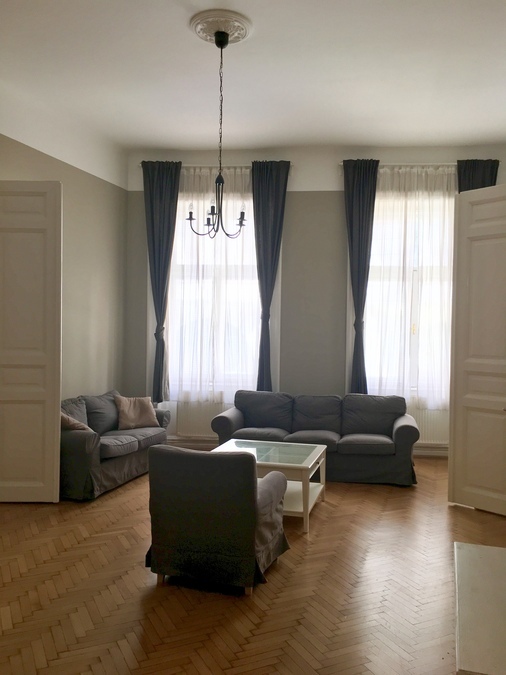 Stunning apartment situated in one of the most beautiful buildings on the famous Raday Utca. 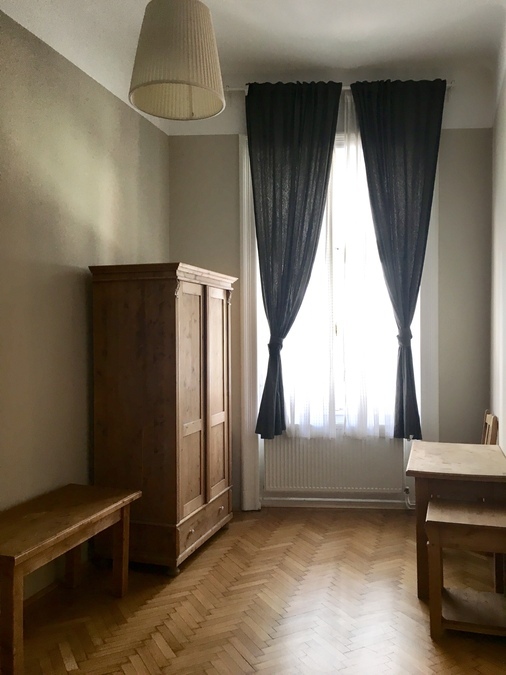 This 3 bed apartment is situated in a beautiful building on the famous Raday Utca. 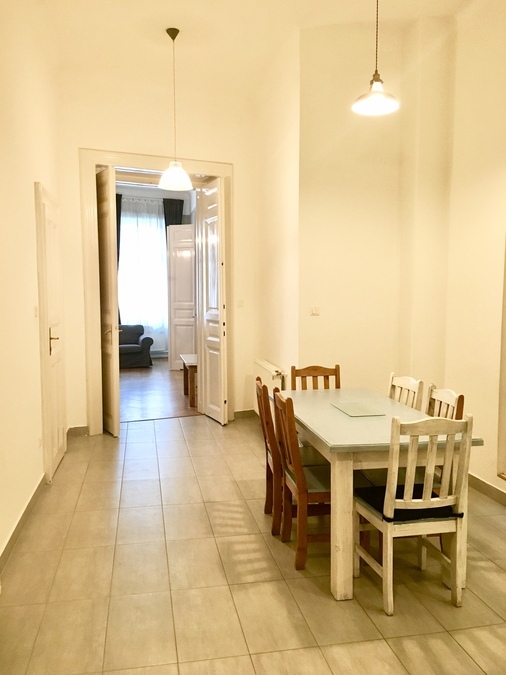 Built at the turn of the 20th century, it offers spacious accommodation for up to six people. 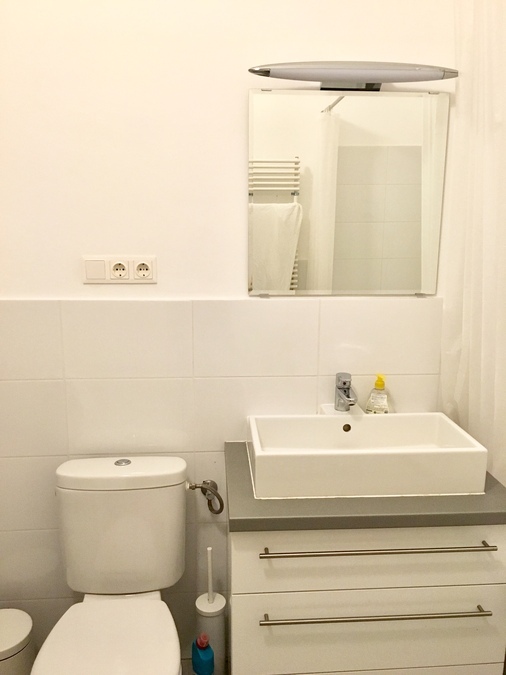 It is the ideal base from which to explore Budapest having everything you need to make your stay comfortable. The Raday Apartment is light and airy due to its street facing aspect and offers good views of the Cafe district below. 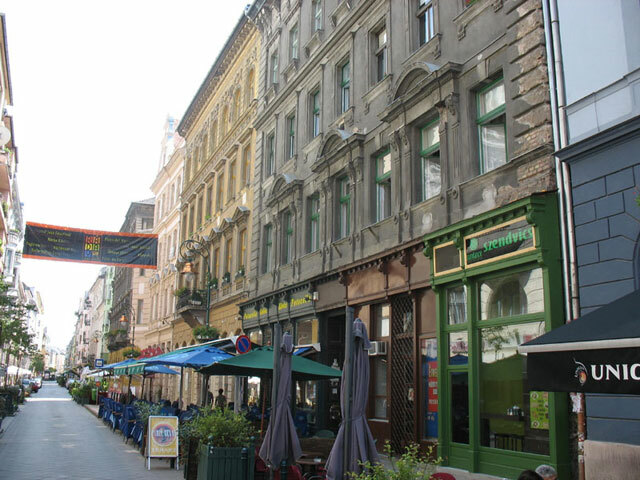 The semi-pedestrianised Raday Utca situated between the Danube and the Grand Boulevard (Nagykorut) is not simply a tourist destination, it is one of the most cosmopolitan streets of Budapest with a diverse and thriving community with all the usual facilities; supermarkets, butchers, bakers, banks, a gym, churches, five minutes walk from the Free Market Hall and the superb cafes, restaurants and bars that spill onto the pavement from Spring to Autumn. 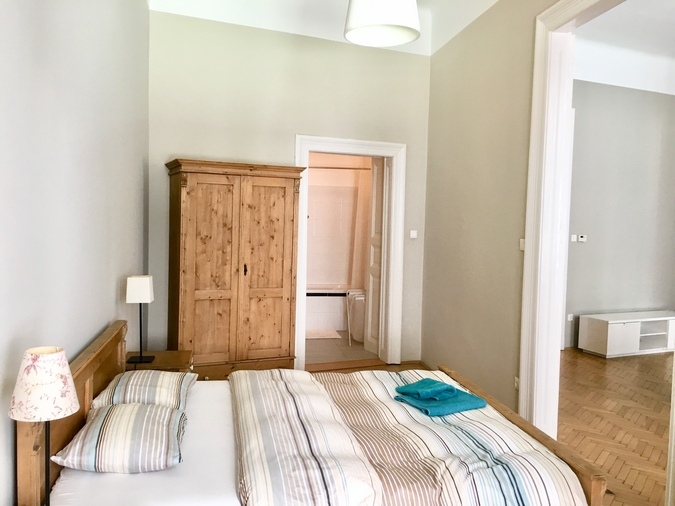 It is a great place to live in Budapest, situated less than five minutes walk from the Duna (Danube) river and the Szabadsag Bridge which leads to the Gellert Spa, Gellert Hill and Statue - a fantastic vantage point of the city which can be accessed by bus if you don't feel up to the climb! 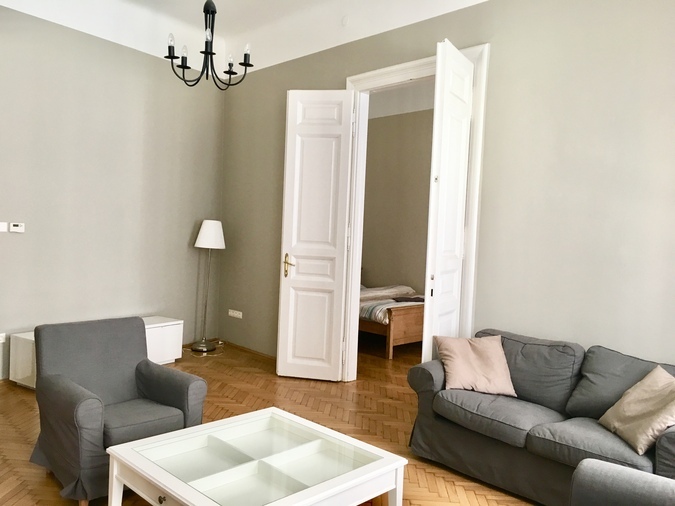 The National Museum, the Central Synagogue, Vaci Utca shopping district and universities are all within easy walking distance. The apartment retains its original art deco features, offering a charming mix of old and new. 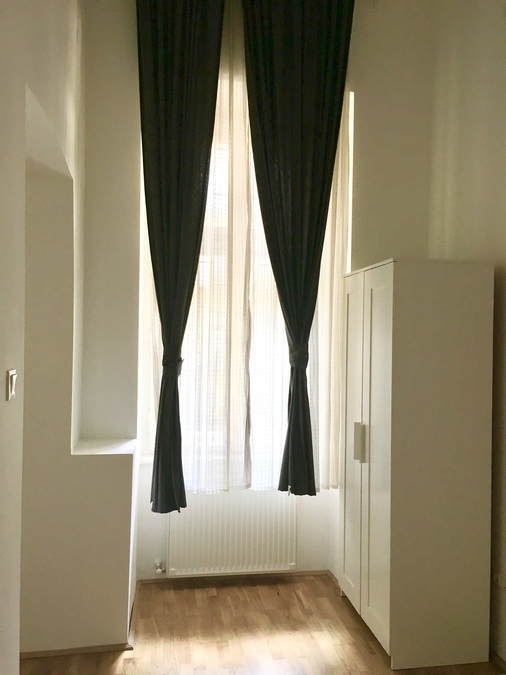 The first floor Raday apartment has a spacious entrance hall. 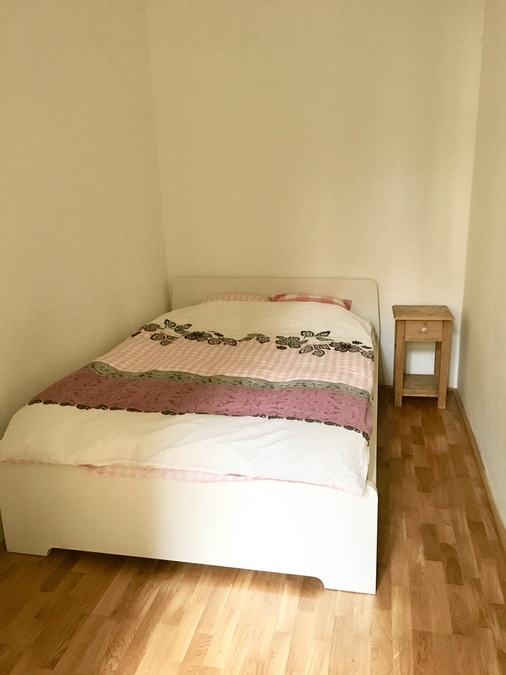 There are two large bedrooms each with a king size bed, very light and overlooking raday utca and a smaller more cosy bedroom to the rear. 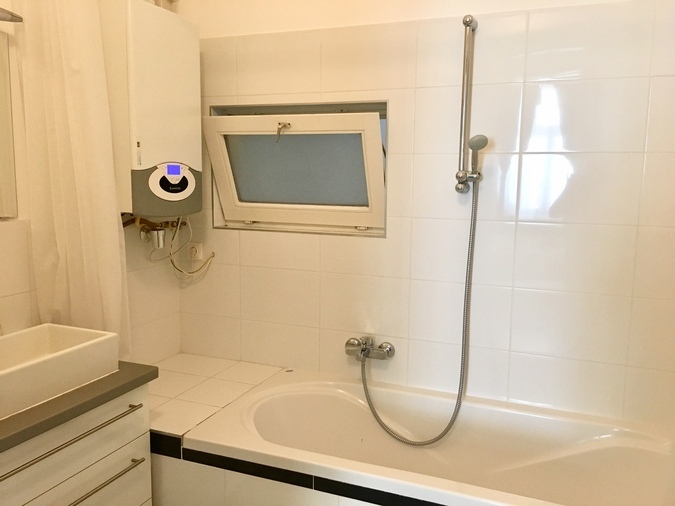 There are also three bathrooms with either walk-in showers or showers over baths. The kitchen is fully equipped with electric oven, large fridge freezer, electric kettle, electric toaster, pots and pans and cooking utensils. The large living room has a dining table for six people.